Spring is the season Eastview Homes most often gets called to come out and deal with home renovations resulting from flood damage. Occasionally the homeowners call when their properties are still underwater and sometimes the weather isn’t the most obvious explanation for the flood. Property owners call us looking for answers, and good advice; this post is a handy reference list for what you should do if your home basement mysteriously floods. Keep family and pets away from the flooded area. Consider shutting off the electrical power if it’s safe to do so and, if you use gas and smell it, leave the building right away and contact your gas company. Call your home insurance company to report possible property damage and follow their instructions, including taking photos, and holding onto receipts for any emergency repairs or clean-up you may have to pay for despite it being a neighbour’s or even a supplier’s negligence – the paperwork is critical to getting proper settlements months or years later. Water damage is pervasive and even though only six inches covered the basement, almost everything had to be replaced. 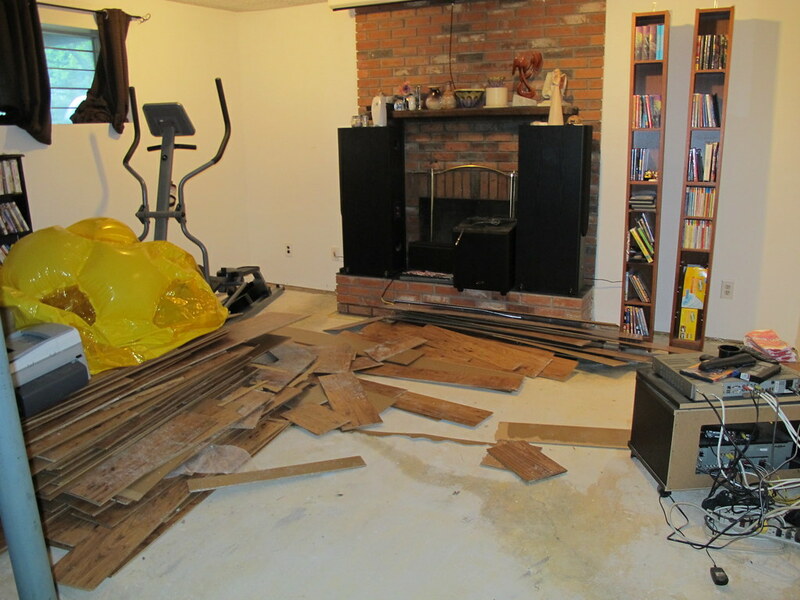 Flooring, exercise machine and CD collection along with the stereo are part of the insurance claim in Winnipeg home. Although basement waterproofing is an art and science practiced by civil engineers and well paid contractors with highly specialized equipment, there’s plenty you can do yourself around the house to minimize the chances of being deluged each spring. Clear leaves, nests and muck from blocking eaves troughs and downspouts so rain water can properly drain. Determine if the landscaping around your home slopes away from the foundation wall so that water drains away from it. Even without a catastrophic flood in your basement, water and moisture may still be slowly seeping in from outside, particularly if you’re in an area with a lot of snow or rain. Besides the obvious damage and inconvenience water can cause to your investment, continual moisture in your basement can result in mold and, with it, potential health problems for you and your family. 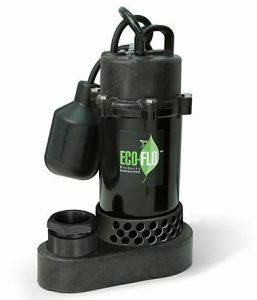 The photo on the right is an Eco Flo submersible sump pump that is only sold online at Home Depo and costs $129. 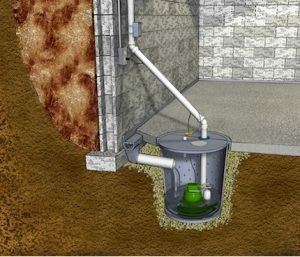 An electric sump pump housed below the floor of your basement can automatically pump out rising water and drain it away from the foundation to help keep your basement dry. Sump Pump in position in the basement.